We are committed to delivering the joy of programming and helping people become creators of the digital age. 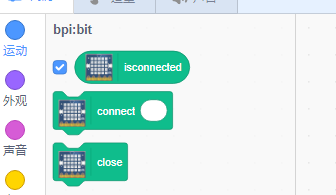 Codelab.club is a programming club. Programming is a tool for creation. We will help you get familiar with this tool, but we are more interested in encouraging you to explore and try. We hope to make interesting projects with you, find your passion, find like-minded partners, play and create together. First select the version of the system that works for you and get adapter ，No need installation , just open it. 1,Make sure adapter software and scratch3 websites are open. 3，Scroll to the bottom, find the BPI :bit plug-in, select it, and click ok to return to the main interface. 5,At this point, insert the hardware and click on the connection button. 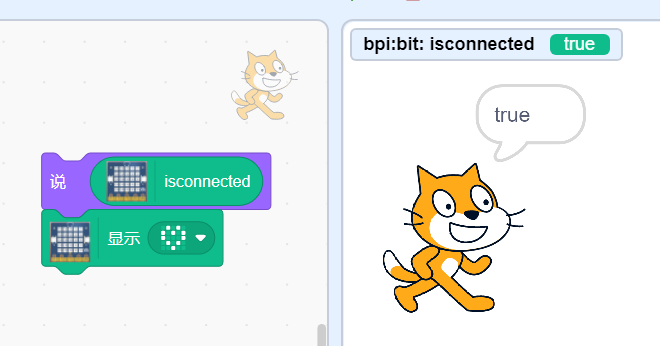 (if you're not sure, check with your regular mpfshell) if connect , will show "true"
6,Now ,you can use CodeLab scratch 3 function. 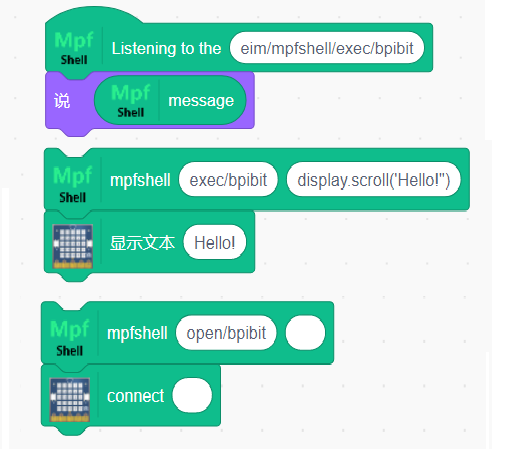 How to use mpfshell, in fact, only need to look at a few examples to know their origin and contrast relationship. 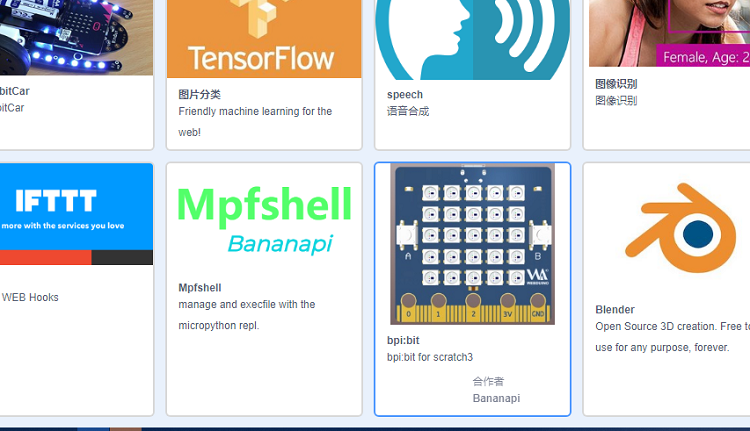 If you know how to use the mpfshell, it is same here. The so-called control hardware is actually equivalent to calling mpfshell exec every time. 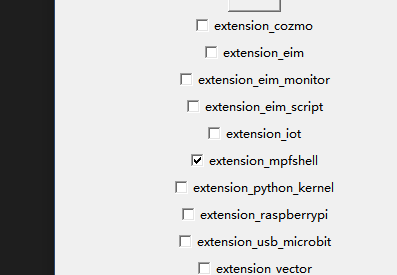 But must pay attention to the place is the eim/mpfshell/exec/bpibit is a typical subject, it means, this is an instance of the access interface, if you have multiple hardware, it will present a different interface, such as the default mpfshell plugin theme is the eim/mpfshell/exec/default, and bpibit expansion is the eim/mpfshell/exec/bpibit, so can according to this distinction between multiple instances of control, You will find it necessary when you need it. 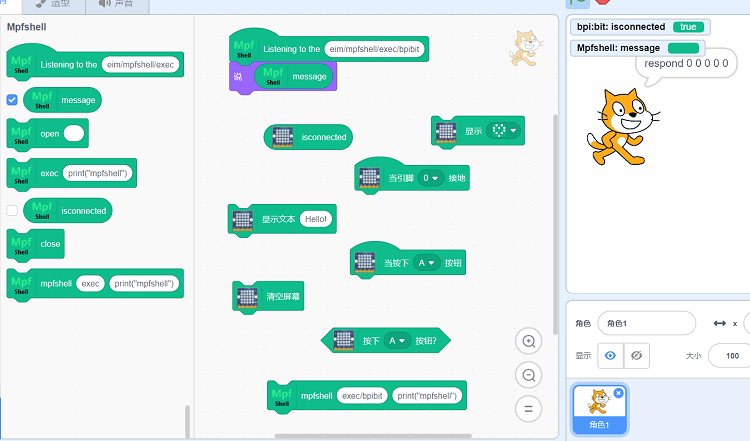 This time we provide a reeditable interface, but if you really want to know how to do it you can look at both projects. 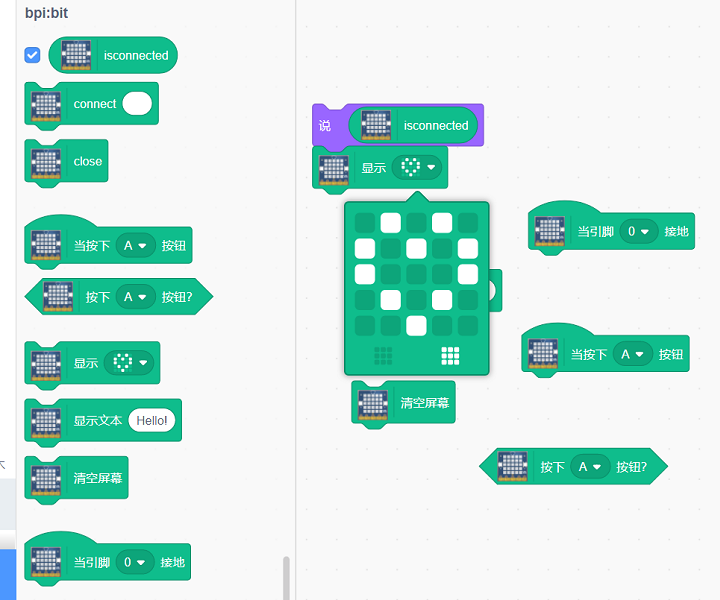 And the scratch 3 plugin would expect to sync with Webduino blockly in the end, because on our blockly platform, you can define your own building blocks without having to build a server, which means you can focus on building your own building blocks instead of merging them into the server every time you modify them. In this way, the blocks and extension plug-ins developed by us are completely our own, and we can also have access to the front-end platform of most blocks, which makes us more free.it is perfect!